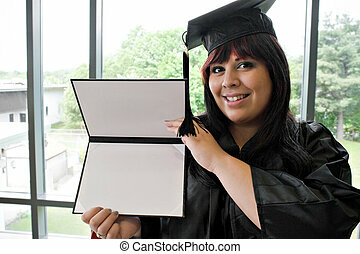 Beautiful graduation girl holding her diploma with pride. 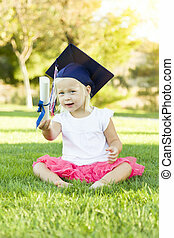 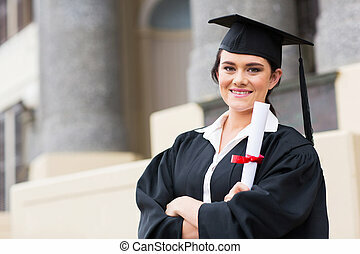 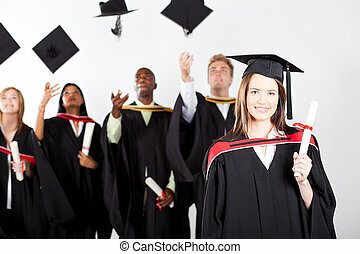 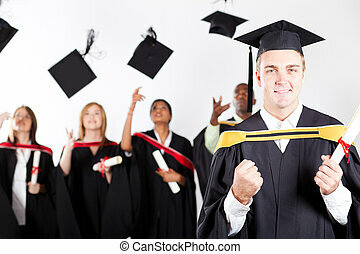 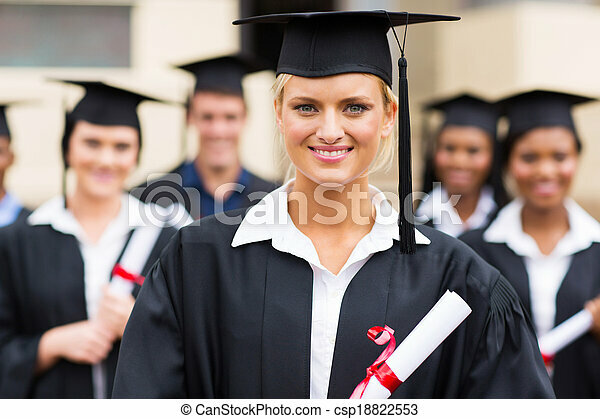 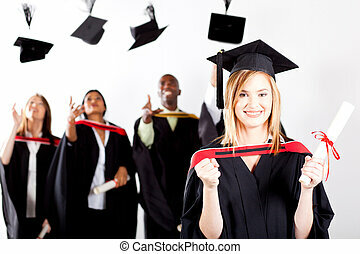 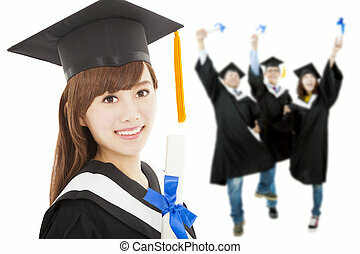 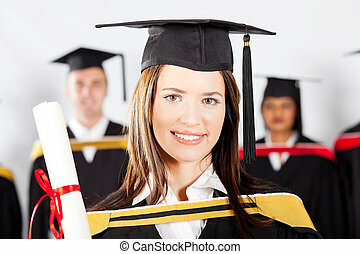 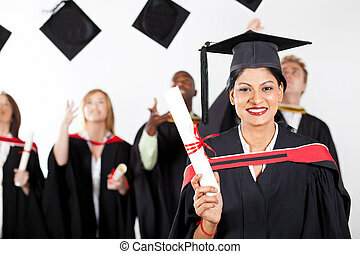 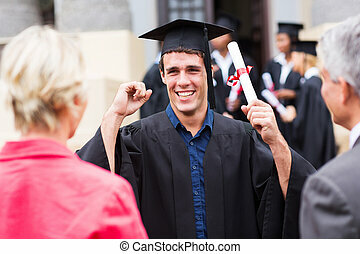 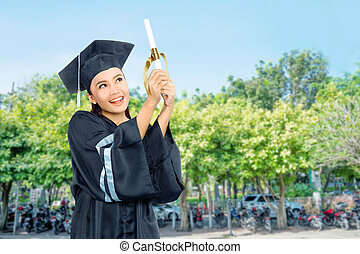 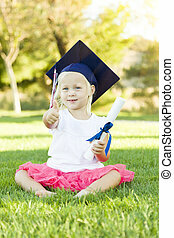 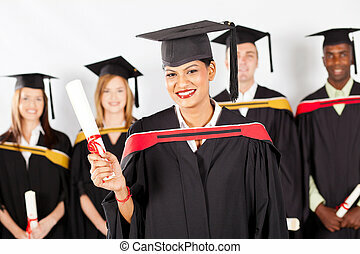 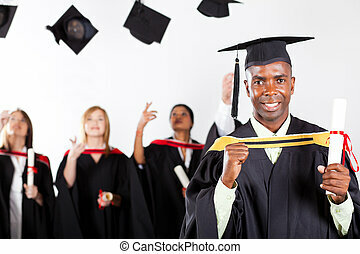 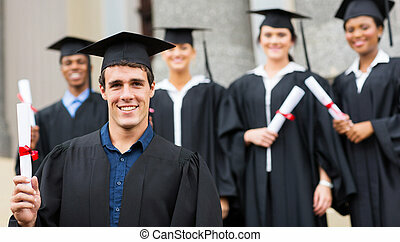 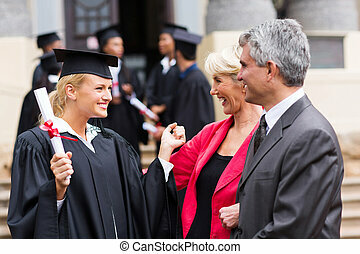 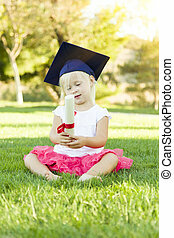 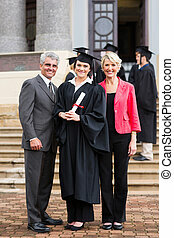 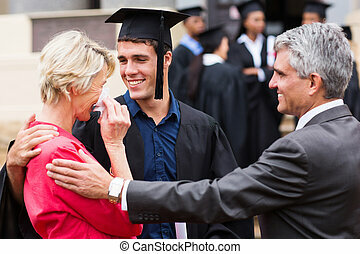 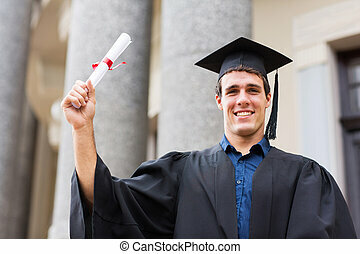 Cute Little Girl In Grass Wearing Graduation Cap Holding Diploma With Ribbon. 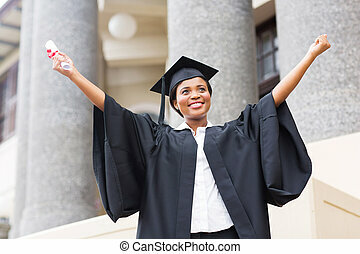 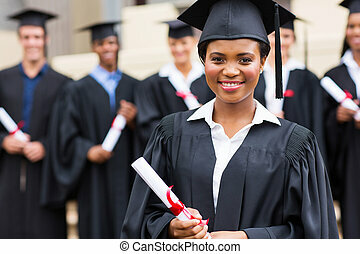 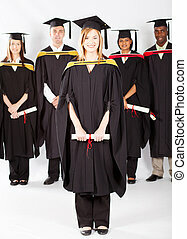 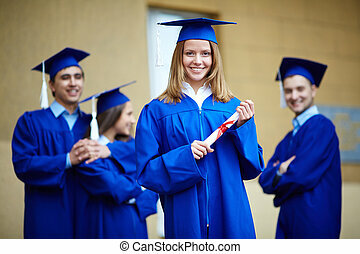 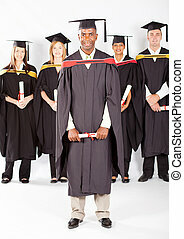 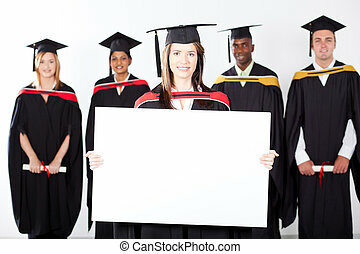 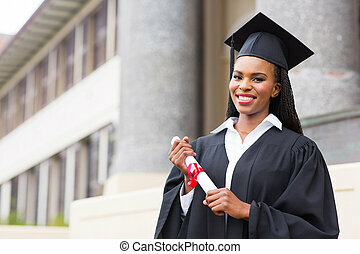 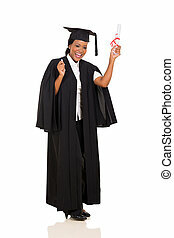 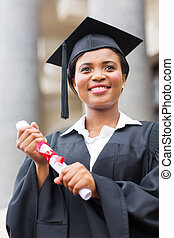 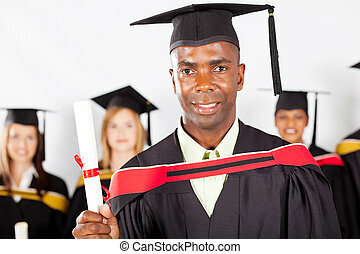 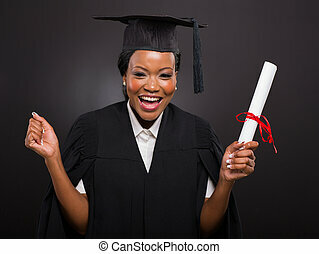 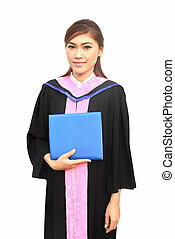 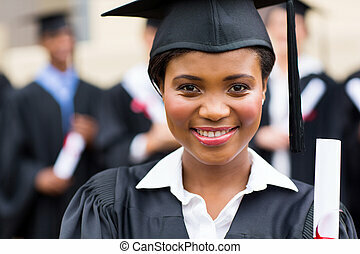 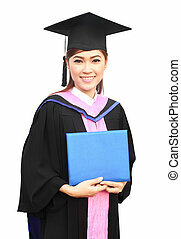 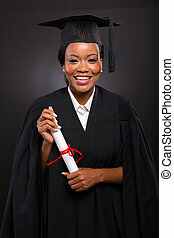 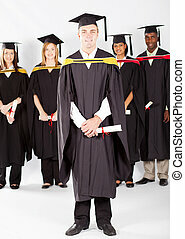 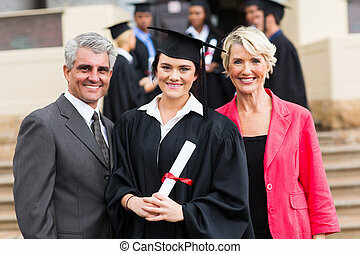 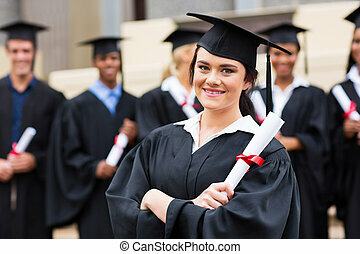 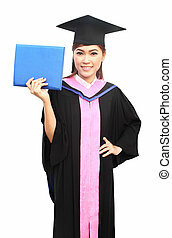 A student that recently had a school graduation posing proudly with her diploma indoors.